This was an iconic family show that, as staff designers, we all seemed to take turns 'looking after' at the BBC. I inherited John Asbridge's main set (not shown) and was lucky enough to help create the opening title sequence as part of my designer remit. Since this was a consumer investigation show, the idea was to spoof a Humphrey Bogart detective - style, so we set up Esther's 'office' very much in that vein - hence the unusual picture below from that sequence. It was filmed at Ealing studios, so I was lucky to have the old boarded floor already there! 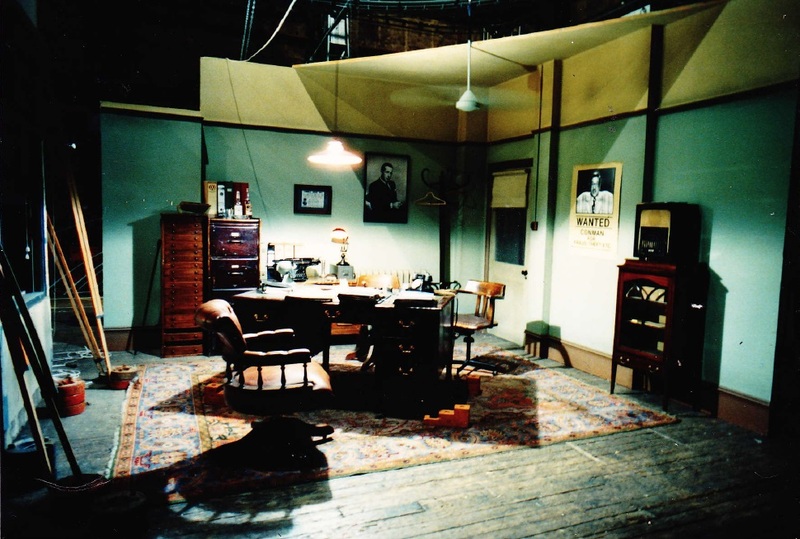 The Bogart office - with the 'Wanted' poster set on to a break through wall that one of Esther's co presenters broke out of.